The Anti-Monopoly Committee of Ukraine (AMCU) rejected the complaint by the Lviv-based Ukrainian-German joint venture Electrontrans against Poland’s Pesa, as reported on the ProZorro online platform for tenders, Novoye Vremya wrote. According to the AMCU’s decision, on August 4, its administrative board considered Electrotrans’s complaint on the alleged violation of legislation in the field of public procurement. The board ruled to reject the complaint, according to Novoye Vremya. In late July, Electrontrans requested that the AMCU cancel the announcement of intention by Kyivpastrans to sign a contract with Poland’s Pesa for the delivery of 40 pieces of 26-meter tram cars after the latter company won the tender. As UNIAN reported earlier, a major Polish manufacturer of rail transport, Pesa Bydgoszcz, won a tender for the delivery of 40 tram cars worth UAH 1.813 billion to Kyiv’s municipal enterprise Kyivpastrans. Read alsoKyiv to switch to non-cash payment for parking from Aug 10According to the data published, Pesa will sign a contract with Kyivpastrans for the supply of 40 low-floor tramcars by December 29, 2017. 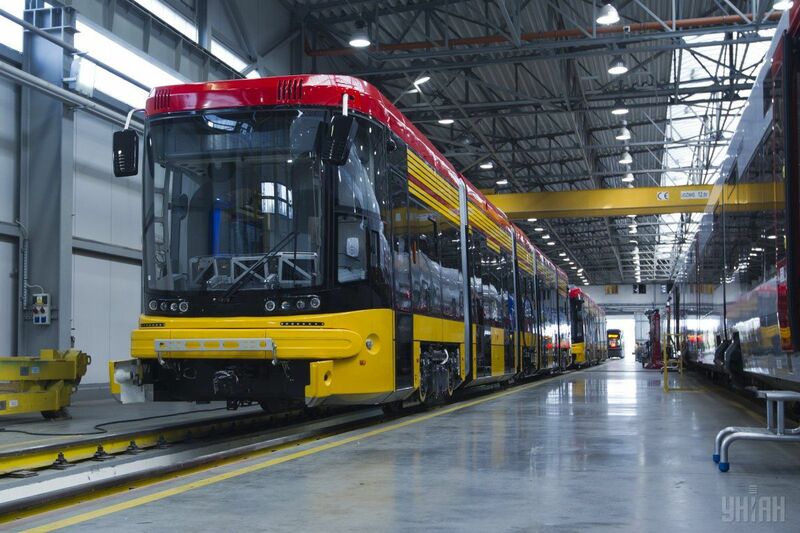 Only two companies took part in the tender - the Ukrainian-German Electrontrans and Poland’s Pesa Bydgoszcz. The Polish company has reportedly offered the price lower by a mere UAH 1,000.